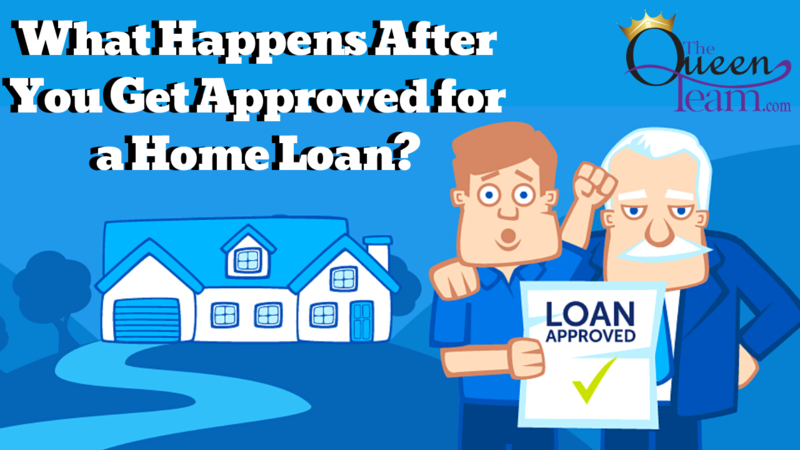 What Happens After You Get Approved for a Home Loan? Getting approved for a home loan is just step one of the home buying process. Here’s what you’ll need to do next. Now comes the fun part—looking for a house! Once you’re pre-approved, you know what your budget is, and you know what you’re looking for, it’s up to us Realtors to help you find a home. It’s your Realtor’s job to not only send you houses, but also research houses you might find on your own. Looking for a house could involve one trip out where you see five different houses or five trips out where you see 10 different houses. The time frame depends on you and how long it takes you to find the right house. These are the steps you must take before getting into your new home. Once you find the right house, it’s time to submit an offer. First, you and your Realtor discuss how to write up the terms of the contract, then you submit the offer to the seller. I like to call this part ‘opening up the lines of communication.’ Basically, you’re letting the seller know what you want and what you would like to do. The seller will either accept the offer, decline the offer, or make a counteroffer explaining what changes they want and what they’re willing to do. Various things can happen after this point. Once you’ve negotiated the terms and you’ve gone under contract, you’re ‘opening title,’ where you deposit your earnest money. This earnest money represents your commitment to move forward with the sale of the house. You also deposit an option fee. This gives you the unconditional right to terminate your contract for whatever reason. It also gives you the time you need to do your inspections and negotiate any repairs. Once you’re past the option period, it generally takes 21 to 30 days to close a loan. In total, once you pick a house, submit an offer, and get that offer accepted, you’re looking at 30 to 40 days to close.